Hi all! The Fresh Slice here to give you tips and tricks to adding anti-inflammatory foods and recipes into your daily routine so you can feel amazing every day. As you've probably heard, inflammation within the body has been a trend-worthy topic in the health and wellness scene for years. Helpfully establishing a market for products, medications and herbal remedies to reduce unnecessary internal inflammation. But what exactly is inflammation and how does it affect our bodies?! Well here is a quick run-down… Inflammation is the body’s natural immune response to harmful bacteria, toxins and stress that may harm the health of surrounding cells and tissues. Inflammation is a positive immune reaction, helping our body to quickly breakdown toxins and heal damaged cells. However, with lifestyles high in sugar, saturated fats and high stress our bodies have responded by producing excess inflammation over long periods of time. Turning an inflammatory response from a Band-Aid to a plaster cast (aka chronic inflammation). High levels of inflammation can cause your immune system to attack healthy tissues leading to reduced gut health, arthritis, blood clots, weight gain, and poor bone health. Read more. Inflammatory fighting products and medications have made huge strides in reducing the daily effects of inflammation. But these products will only go so far as the real change happens when you take a look at your lifestyle and empty out your pantries. The food we eat has a major impact on our levels of internal inflammation, which means, we have the power to change it! It has been found that diets high in fruits, vegetables, whole grains, legumes, nuts and healthy oils reduce inflammation and inflammation causing diseases. In short, whole foods, low in sugar, high in omega -3 fatty acids and high fiber work together to sooth inflammation and keep our bodies moving. Below is a quick and easy The Fresh Slice recipe, packed with anti-inflammatory super foods, healthy fat and protein to get you through the day. 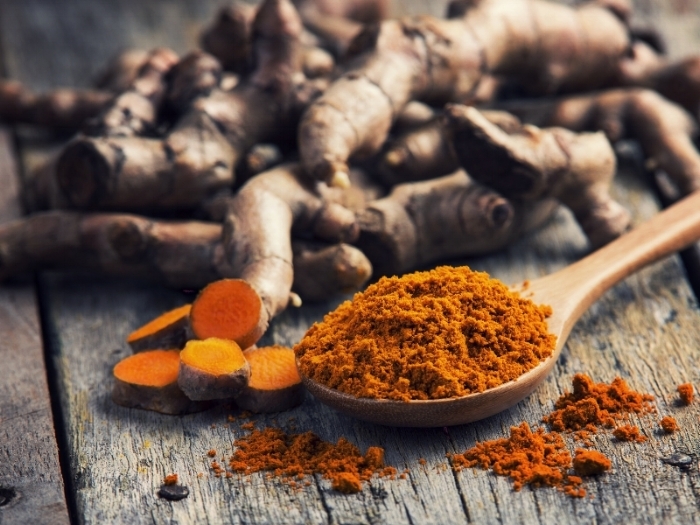 Looking for more ways to get turmeric into your daily routine? Check out The Fresh Slice. *Be on the look out as we're launching a new Turmeric body soak exclusively for the Holidays. 1. In a large bowl, combine the ingredients for the dressing. Stir until well combined. 2. Add the shredded cabbage, broccoli, pear and walnuts to the dressing mixture. Toss until evenly coated. 3. Serve immediately or make ahead and store for later! * Pro Tip – for additional protein top this slaw off with an egg!